During the week the VAFA announced its rep squads for the trip to Adelaide in June to take on the Adelaide Football League. 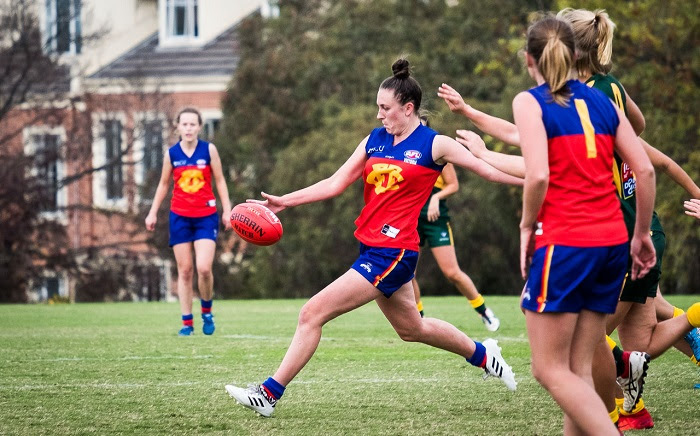 Three Fitzroy-ACU Senior Women have been named in the large 78-woman squad after playing under the watchful eye of VAFA Women’s competition supremo, Shona McInnes, on the weekend in the game against Old Trinity. Erin Gogerly, Lucy Kerr and Hilary Collett have all been selected in the squad and will now commence training before finding out if they make the final cut. Less than one percentage point separates Fitzroy and Williamstown CYMS at the top of the Premier C ladder after the Roys’ Senior Men’s side went on a second-half rampage against a depleted St Mary’s Salesian last Saturday. We’ve been on the wrong side of some very small percentages over the last few seasons, but we're well on the way to redressing the situation this season. A 12-goal final quarter was almost enough to bridge the gap, but the real test comes in the next fortnight. Over at the small ground at Ferndale Park, there was so much action it was hard to know where to look! There was barely a player who came away empty handed and Aidan Lambert put in another eye-catching display, ducking and weaving, pulling away from packs and kicking four goals. Setting a great example to his side, captain Julian Turner continued to push himself to the limits throughout the game, even once it was well won. He finished with three goals. 18-year-old Sunny Brazier, playing his first senior game, kicked 3.6 in an eye-catching performance and also ranked in the best players. Jack Dalton, playing in his first senior game this year to bring in some hardness and experience in the absence of Rory Angiolella and Toby Hudson-Bevege (both of whom provided nearly as much value with their advice from the sidelines), was everywhere, and kicked four goals. But some of the biggest cheers of the day were reserved for Max Ellis who was released of his fullback duties in the final quarter and went forward to kick three goals in short-fire time – more than doubling his career goal tally. Tom O’Donnell, marshalling the troops down back and barely ever missing a target by foot, was best on ground and drew the praise of his coach for his seamless introduction, not only into the team, but the wider club, in his first year at Fitzroy. The next two weeks should provide a very good test for Fitzroy’s men as they play Marcellin (fifth) and Williamstown CYMS (first) at home in the next fortnight. Get on down to BSO for some outstanding footy. And please take a look at King George III’s story this week – it contains a heartfelt condolence message to his friend and a friend of Fitzroy, MO’S, who passed away recently. Our condolences go to his family and friends. 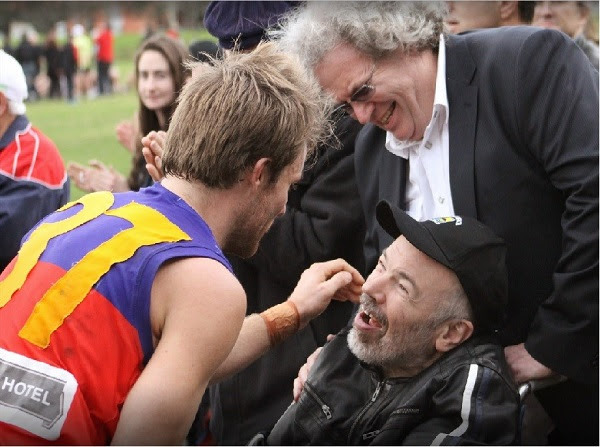 Our brilliant club photographer captured this special moment when MO's was greeted by Will Fenton after Fitzroy defeated Ajax by 101 points at BSO. Big smiles all round. 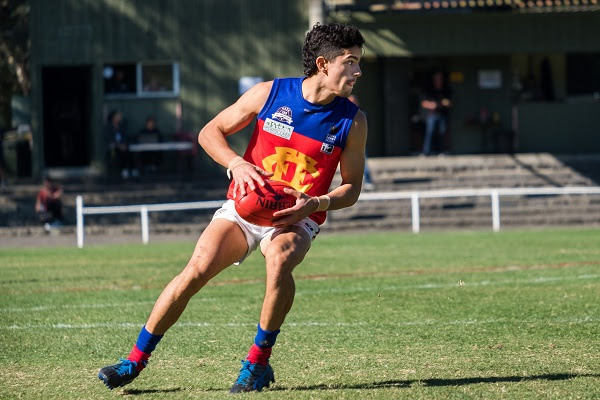 From Atkinson to Zaghis, everyone in the Reserves is playing a strong team game that sees Fitzroy atop the Premier C Reserves ladder, a game and over 100 per cent clear of closest rival PEGS. 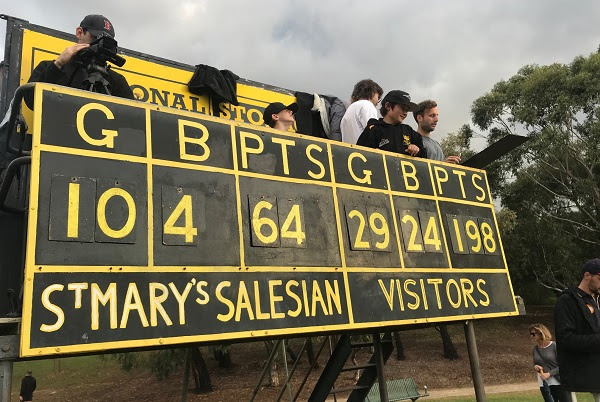 After a bit of a scare in the first half against St Mary’s Salesian last week, the team played yet another strong third quarter kicking seven goals to nil. In fact, they didn’t allow the opposition to kick a goal in the second half, eventually winning 13.12.90 to 5.11.41. Coach Bernie Carter says winning is good and helps with motivation and making it easier to rock up to training, but he modestly credits the high availability of players, a number of quality senior players back at the club, and Luke Mahoney’s game plan for making a difference. “The change of game plan that we are implementing across the board, means we’re all on the same page and it’s good for giving players an opportunity for promotion,” Bernie says. “It’s also a great motivator that players know they’ll be given an opportunity to step up. They can see Martin Deasey and Bernie Wright have gone up into the seniors and are being given a good run. No one is pigeonholed. 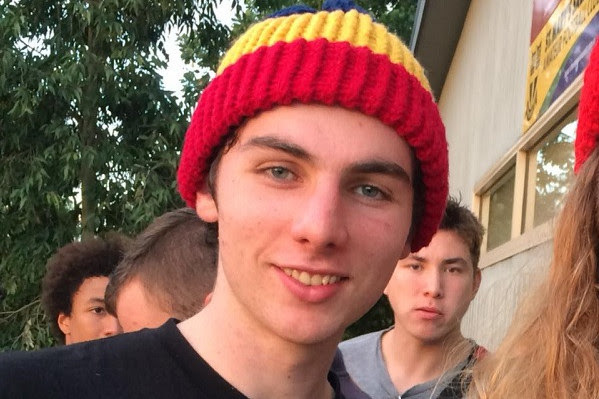 “Jack (Atkinson) is a great leader for the Reserves and some of our players have really stepped up this year; players like Will Zaghis (pictured), Lachie Henderson (4 goals this week) and Sam Batterton, back from a shoulder injury, are really playing good, consistent footy. 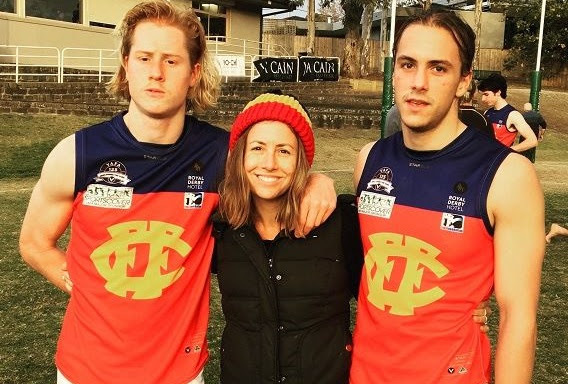 Close observers of Fitzroy’s fortunes will have noticed Will Pickering making a quiet return on Saturday and immediately having an impact with three goals. 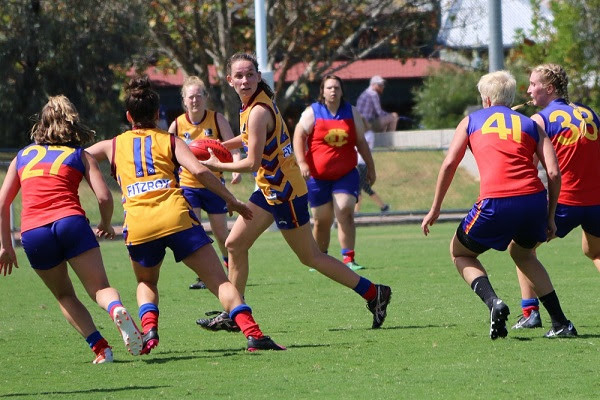 After a tough start it’s been a great couple of weeks for the Fitzroy-ACU Senior women’s side and it was all smiles as they evened the ledger. 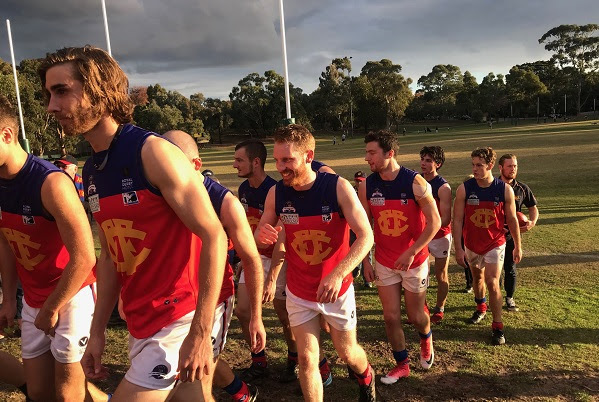 In a tight contest against Old Trinity at Ramsden Street last Saturday, Fitzroy-ACU managed to hold a narrow lead for the entire game and had just enough poise and defensive muscle to hold out Trinity as they came home strongly. Fitzroy-ACU won 7.8.50 to 4.12.36. This puts the team at 2 wins and 2 losses, with a challenging battle looming this weekend. 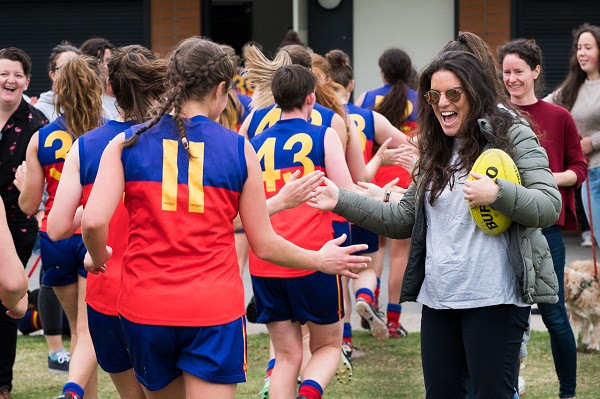 The inaugural premiers of the VAFA Premier Women’s competition and the team that knocked Fitzroy out of the finals, Marcellin, seem to have picked up where they left off at the end of 2107, doing a demolition job on Old Xav’s last week. This is a real test for the home side, who have really started to show some strong form in the last two games. 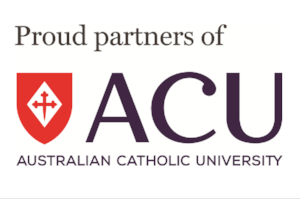 The star for Fitzroy-ACU in the Old Trinity game was Ruby Condon with three goals, including a crucial shot to stop the momentum of OTs, who had scored the first goal of the final quarter to move within striking distance. Ruby was best on ground. Not far behind was Erin ‘Everywhere’ Gogerly, who, continuing her fantastic season, frustrated the opposition with her ground coverage and ability to read the play and cut off their attacking moves. 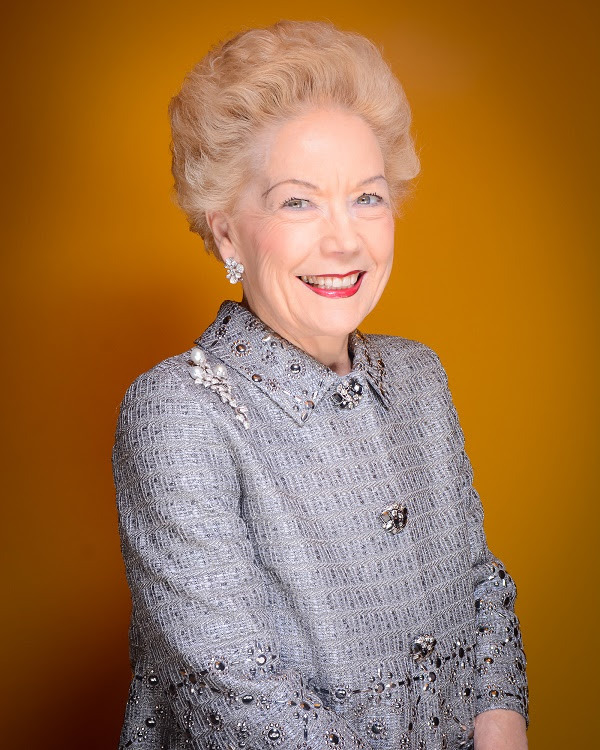 Lucy Kerr was also very influential. Check out the VAFA’s write up of the game. 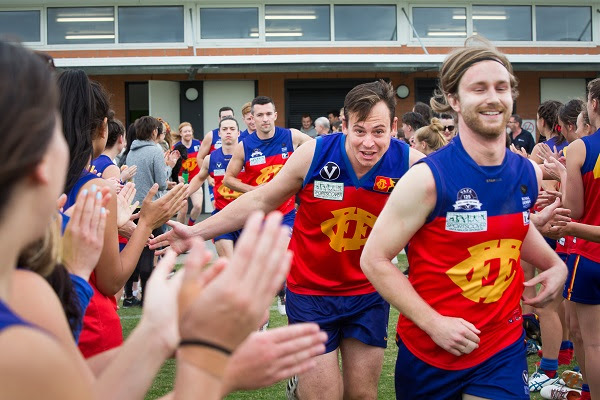 This weekend sees four of Fitzroy’s teams playing host to Marcellin Old Collegians – the Seniors and Reserves in the Men’s and Women’s competitions. 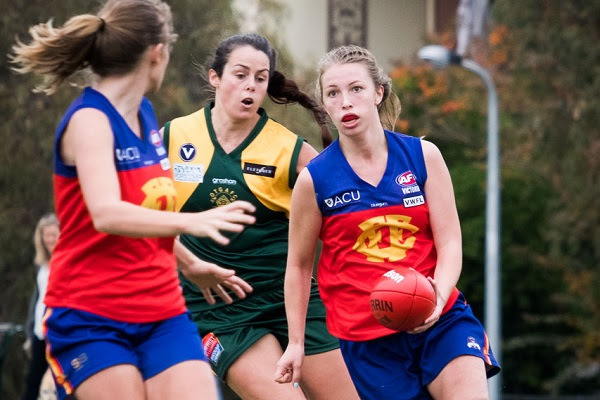 For the Fitzroy-ACU Reserves Women, Saturday can’t come too soon after two weeks off with successive byes. Rachael Telfer will lead her team out onto Ramsden Street to start the day’s proceedings from 12pm, with the Seniors to follow at 2pm. Make sure you're there to catch the action. We're not just all about the brawn here at Fitzroy, we're also keen on brains and a few good laughs. Get your teams ready for our trivia night on Saturday 26 May at the community rooms at Brunswick Street Oval. 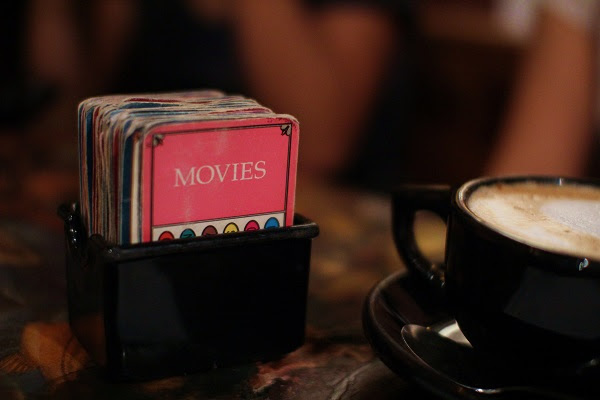 This is a great night for players, supporters and friends to engage in a little friendly competition, with a wide range of questions to test your trivia game. We have only 100 seats and some excellent prizes, so don’t miss out. Tickets are $25 a head and drinks are at our very reasonable bar prices. Feel free to BYO snacks for your table. Book a team of 10 or book your own ticket and join a team on the night. Up against nemesis Ajax, the Fitzroy Thirds are pretty excited to be playing under lights tomorrow night. Kick off time is 7.30pm at Harry Trott Oval, Albert Park. With large numbers at training and available for games, the team is competitive and showing promising form, but not quite getting over the line. Last week they fell just short of Old Trinity, going down 14.9.93 to 16.13.109, with last season’s leading goal kicker Simon Heather teaming nicely with Dan Beacom and Jimmy Miller with two goals apiece. Angus Ryan was Fitzroy’s best player. In the high quality and highly competitive Thirds Section 2 division, the boys only need another good win to be right back in contention for finals. Go Roys! Our players are a pretty lucky lot. 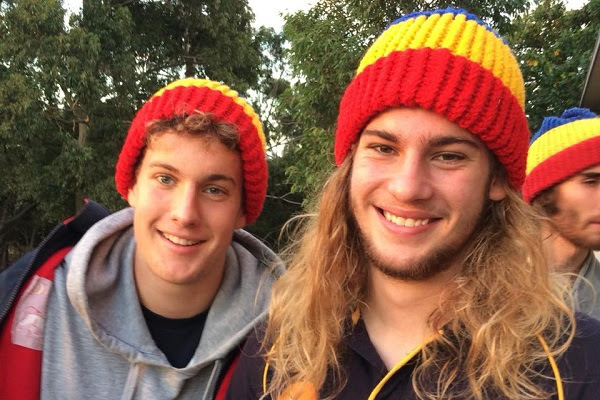 Volunteer Louise Maniatakis has hand knitted a unique set of beanies for our Men’s and Women’s squads. These player-only designs identify our teams wherever they go. A new batch of the men’s design arrived last Saturday and were presented to some of our new(er) players. With so many new players this season, Louise has been keeping her knitting fingers busy. Check out Ted and Bill Clayton, Nino Lazzaro and Noah and Bernie Wright, whose mum Clare Wright soon commandeered one of the new beanies. Thanks Louise. You’re a star. 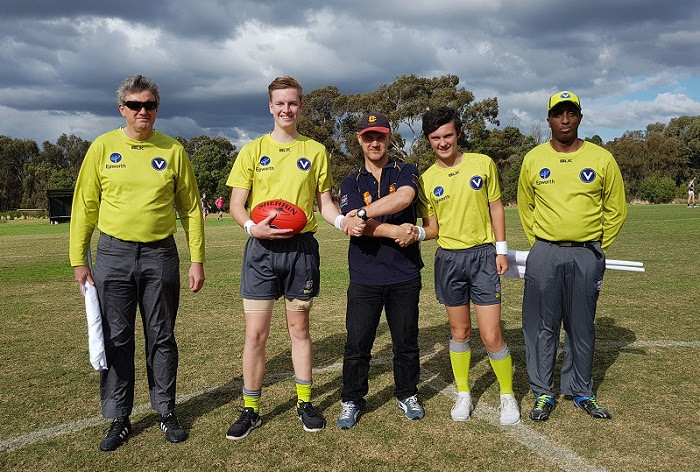 He and his charges might be having a challenging season, but it didn't stop Fitzroy Under 19s coach, Greg Coleman, from recognising the efforts of the umpires before last week's game as part of umpire appreciation round. The Unders went down to Old Ivanhoe, 17.12.114 to 9.8.62 and this week travel to Parkdale for the early game against the Vultures at 9.20am.